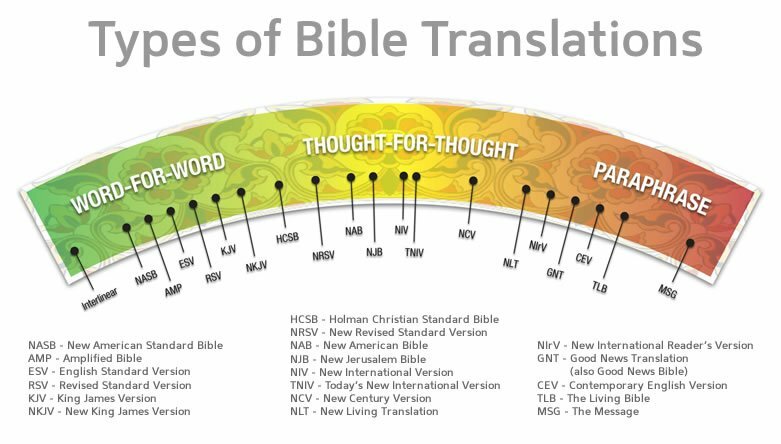 Picking out a new Bible or curious about different translation types? Below are a few comparison charts to help you make your decision or learn more. Reading and comparing the charts should give you a good idea of how different versions compare to each other by translation type. Please use them only as as a guide. Some opinions may vary about the exact placement of the versions. 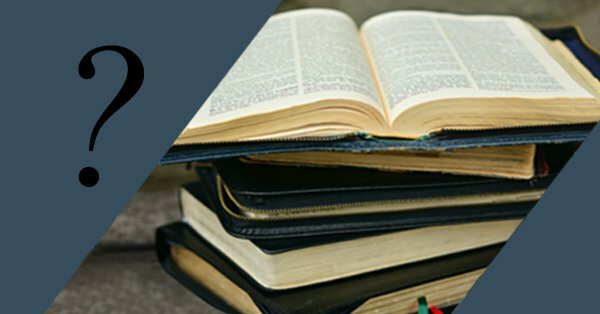 Today’s English Bibles tend to fall into one of three categories. There are those that lean towards a word-for-word or essentially literal translation, those that lean more towards a thought-for-thought translation, and those that paraphrase the meaning (paraphrases). Some Bibles are a blend of two different types. The Bibles that most closely follow the copies of the original manuscripts are word-for-word translations and essentially literal translations. This means they give the most accurate presentation of the original manuscripts. That makes them the best choice for all personal uses and corporate uses. Thought-for-thought translations move away from a word-for word or literal approach and aim to transfer the meaning of phrases or groups of words from the original to an English equivalent. Paraphrases are written to be easier to read and understand than word-for-word and thought-for-thought translations. While this may shed light on the meaning of the text, care should be taken when using them.Paraphrases sometimes change the original meaning too much. If you do choose to use a paraphrase, I recommend using it alongside of a more accurate translation. God’s word “is living and active and sharper than any two-edged sword.” (Hebrews 4:12a) Paraphrases can dull the sword and in some cases grind it to a pulp. Recommended: The Bible that you choose to use is one of the most important decisions you will make as a Christian. Having the correct knowledge of God and your spiritual well-being are strongly dependent upon the accuracy of the Bible that you read and study. Please be careful and choose a good one. I recommend choosing a Bible from the left side of the charts like the New American Standard Bible (NASB), the English Standard Version (ESV), the King James Version (KJV), or the New King James Version (NKJV). (Though it is on the left side, I do not recommend the Amplified Bible.) These four versions do the best job of accurately translating the words and meaning of the original languages. Avoid: There is a Bible that is growing in popularity. It is new, and hence not on the charts; yet it probably wouldn’t be best to include it anyway. It is The Passion Translation (TPT) by Brian Simmons. If you use or are considering using this Bible, please note that it has some significant problems. 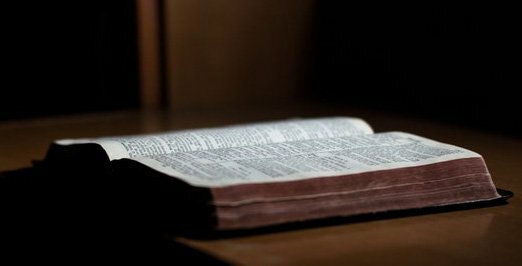 Consider this quote from the GotQuestions.org article What is the Passion Translation of the Bible? The Passion Translation should be avoided as it adds new words and ideas and changes the meaning of inspired texts. It is not a trustworthy version. If you are using it, you are not reading the Bible. Please see Burning Scripture with Passion: A Review of The Psalms (The Passion Translation) for a review of TPT in regards to its mishandling of the book of Psalms. Here is an important quote from it. Please see What’s Wrong With The Passion “Translation”? for a review of the mishandling of the New Testament and other problems. Choose prayerfully and wield a sharp sword! The charts above were collected over a period of years. Today, they can be found on different websites. I think one of the unmarked ones was from Zondervan. Please contact me if you have source information.